Ubisoft has announced a temporary price drop for all Year 1 operators in Tom Clancy's Rainbow Six Siege until March next year. 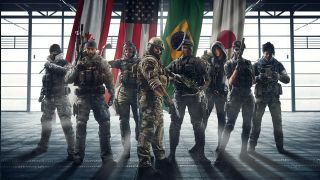 You'll often see Ubisoft offering free weekends for Rainbow Six Siege, usually accompanied by a discounted price for those thinking of purchasing the game in the same period. This time, they're doing something a bit different. Starting today at 11am EST (3pm GMT), the price of Year 1 operators has been reduced from 600 R6 Credits/25,000 Renown to 360 R6 Credits/15,000 Renown. The Year 1 operators are Frost, Buck, Valkyrie, Blackbeard, Capitao, Caveira, Hibana, and Echo. The offer will end on March 4, 2019. There is currently no plan to do the same with Year 2 operators. If you're wondering if they're worth it, you can check out our guide that asks, which Rainbow Six Siege operators are the best?